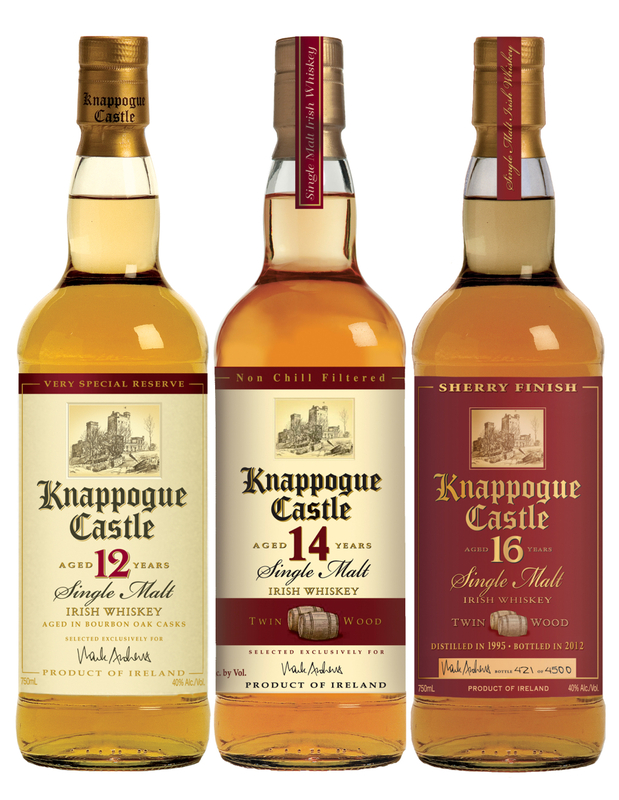 With St. Patrick’s Day right around the corner, Limpd and I decided that we would finally sit down to review some Knappogue Castle Irish whiskey samples that we recently received from Castle Brands. While we have heard many positive things about Knappogue Castle, this is the first time that we are actually sitting down to try any of their whiskeys. If this were one of our regular whiskey review posts, at this point I would be rehashing some history about the brand and telling you what they have to say about the three expressions that are the subject of this review. This time around, I’d like to do something a little bit different. Earlier this evening, Mrs. G-LO and I were helping our soon to be 6 year old son with his spelling homework. His assignment was to identify what he sees in a picture, determine the number of syllables in the word, and then try to spell it. While he didn’t get the spellings perfectly correct, he was definitely in the ballpark. In the spirit of tonight’s kindergarten homework (see what I did there? ), let’s break down the words Knappogue Castle…. Limpd: Grainy with hints of grass and mint. A bit astringent. G-LO: Very light with hints of vanilla, lemon zest, coconut husk, and some mint or licorice. Limpd: Medium mouthfeel. Not overly sweet. Maybe a little briny with a light alcohol spice (wintergreen perhaps?) and a mild burn in the finish. G-LO: A touch of oiliness in the mouthfeel. Starts off slow with some subtle fruitiness. A bit of white pepper heat at mid-palate but not overly aggressive. The fruit comes back at the finish with some licorice or mint coming through in the aftertaste. Overall, we both found this to be an easy drinking Irish whisky that would be a good alternative to a 12 Year Old Jameson or Black Bush. The ROK also sampled it and found it to be very straightforward and quite enjoyable. Limpd: Very similar to the 12 but with much more depth and intensity thanks to the higher ABV. G-LO: Fruitier and more intense than the 12. Picking up a healthy dose of dried fruit, cinnamon, vanilla, and allspice. Limpd: A little heavier mouthfeel than the 12. Much smoother and more refined. The Twin wood does it’s job of delivering a full flavor with almost no alcohol burn. G-LO: Definitely a richer tasting whisky with more fruit and spice upfront. A healthy dose of cinnamon heat at mid-palate. It all comes together at the finish with dried fruit, cinnamon, and a touch of brown sugar. This was much more intense than the 12 Year Old expression. Definitely our favorite of the three thanks to it’s higher ABV and big, bold flavors. Limpd: Very different from the 12 or 14. A little bit of funk when I first smelled it. After that, it smells very woody with a hint of vanilla and toffee. After letting it open up a bit more, it reminded me of a buttered rum. G-LO: Much darker fruit notes with brown sugar, caramelized banana, cinnamon, dark raisins, and maybe a hint of clove. Limpd: Thicker texture when compared to the 12 and 14. An almost velvety mouthfeel. Sweeter and less refined than the 14 with more alcohol burn. The extra two years didn’t seem to be as well spent. G-LO: Lighter bodies than the 14. Reminds me of the Bunnahabhain 12 with a touch of saltiness and toffee. Gets a bit more intense at the middle with some baking spice coming through. The finish is a bit too mellow for me, i.e. it ends a bit too quickly. Overall, this was our least favorite of the three expressions. It’s not a bad whisky by any stretch, but it lacks the intensity and refinement of the 14 or the easy drinking nature of the 12. Many thanks to Castle Brands for sending us these delicious samples! St. Paddy’s Day is looking up with more choices! Green beer is so decades ago. So true! And it’ll make a mess of your clothes when you spill it on yourself in a drunken stupor. Cause THAT’S what the amateur hour version of St. Paddy’s Day is all about. Great post, guys. Recently finished the 12yo, but definitely looking forward to tasting the 14yo. I was excited to see the ABV go up to 46% on the 14yo, but was surprised to see it drop back down to 40% for the 16yo, especially given its price point. Thanks Will! I feel the same way about the ABV increase. It was a pleasant surprise since Irish Whiskey usually stays put at the 40% level. Look forward to hearing your thoughts on the 14 and 16. Cheers! Very appropriate for this weekend. Count me in sir. Another pebble snatched and step across the rice paper (with nary a mark)! Well done, Lads (though not really the Whack Walker, because that one doesn’t type), well done!! Gracias Hombre! High praise indeed. Slainte!